Children of any age are welcome in all worship services at Epworth UMC. Activity bags are provided. Nursery care for infants through 4-year-olds is also available during all worship services, with both paid and volunteer staff. Classes for all ages meet every Sunday morning from 9:50 - 10:45 am. Children learn with their peers in preschool (3- to 5-year-olds), younger elementary (kindergarten - 2nd grade), or older elementary (3rd - 5th grade), and then all gather for music in the choir room. Nursery care is also offered during this time. Children help pack food backpacks for local elementary school students, make cards for the elderly, serve at the Food Bank, and join in the whole congregation's outreach. Students from Hope Valley Elementary School come down the block for tutoring at Epworth on Mondays and Wednesdays after school. 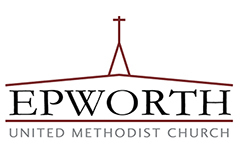 For information on Epworth Preschool, visit epworth-preschool.org or contact the preschool office at 919-489-6098. Each summer, Vacation Bible School Saturdays bring Bible stories to life with art, games, cooking, music, and more for 3-year-olds through rising 5th graders. Follow the link for more information or to register for VBSS 2019. Throughout the year, there's always an intergenerational event, children's musical, parents' gathering, or seasonal festival coming up soon! Your family is welcome at any and all gatherings at Epworth--we are intentional about providing spiritual activities for kids alongside adults so that everyone can grow in God's love and grace. For more information on Children's Ministries, please contact Amanda Wilson at awilson@epworth-umc.org. Download the Epworth floor plan.